(CBS) CHICAGO - A Chicago domestic violence incident this past weekend featured insults, punches, and...baked goods. In the dispute on the city's Southwest Side, a woman pelted her husband with cupcakes before police arrived to arrest her, authorities said, according to the Chicago Tribune. The crumb-covered spouse isn't talking. The evidence of the crime was visible on the husband's head and shirt Saturday night when officers responded to the home. On Sunday morning, Cook County Circuit Judge Adam D. Bourgeois Jr. ordered electronic monitoring for the woman and a $10,000 bond. She is charged with a misdemeanor count of domestic battery, the newspaper reported. The fight started with a verbal quarrel Saturday evening, according to a police report, but escalated until the woman started hitting her husband over the head. After that, she reached for the box of desserts and aimed a barrage of snack cakes at his head and body, the husband told police. The man's head and shirt were smudged with icing when officers arrived, according to the police report. He told officers he feared for his safety, and she was verbally aggressive with officers, the report states. 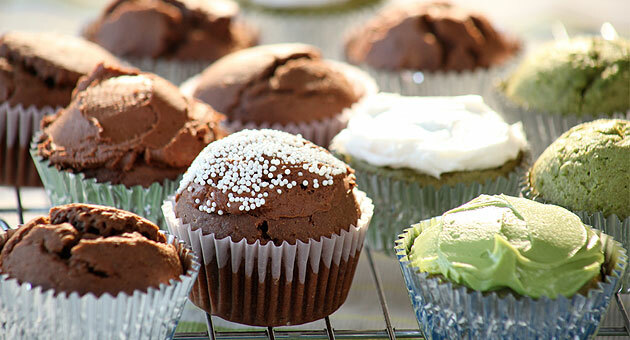 According to the Tribune, police said the woman admitted hurling the cupcakes at her husband. Records indicate that the alleged victim himself has been arrested three times since 2003 on domestic battery or battery charges. Charges in all three cases were later dropped. As he left home Sunday, the Tribune says, the alleged victim of the cupcake assault declined to comment.